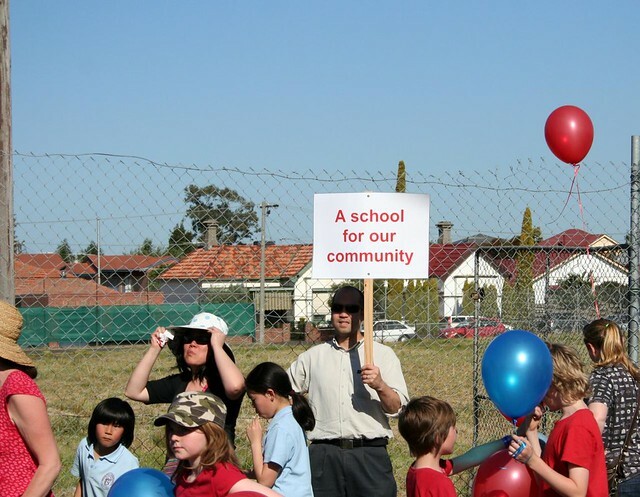 HSC will be holding another Community Meeting – 7.30 Monday, 24 October, 2011 hosted by Coburg Primary School. HSC's last community meeting was a real success with parents from seven different primary schools attending. There were also many parents there whose children are not even at school yet. Everyone was very engaged with the issue and the meeting room buzzed with comments, ideas, questions and a few answers! Do come along and we can all share our experiences, concerns and ideas regarding the lack of a local state secondary school for all the children leaving our primary schools. Coburg Primary representatives will speak, HSC will do an update and then we will take our lead from the parents as to what direction the meeting takes. The parents and broader community involved in and supporting HSC need to be recognised as an asset not an inconvenience. The energy we put into our local primary schools and the ever stronger primary school network that is resulting from our campaign could also flow into a fantastic local high school which would be a vital part of our community and allow the much touted Family-School-Community Partnership to flourish for the betterment not just of our children’s education but our community as a whole. 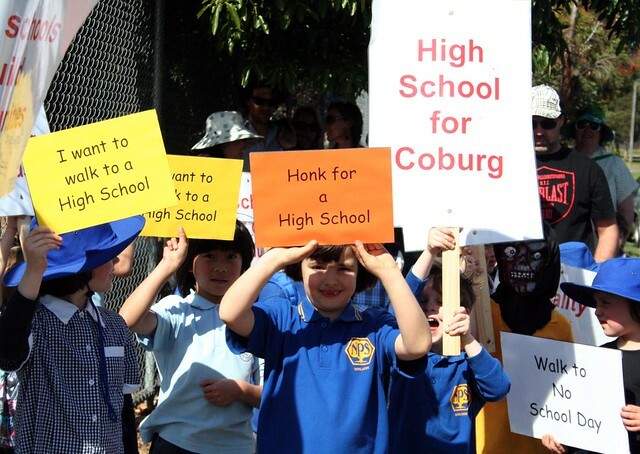 Our ideas, energy, school and community connections could also be of great assistance to the under-enrolled, low local profile and not-community-connected Coburg Senior High. 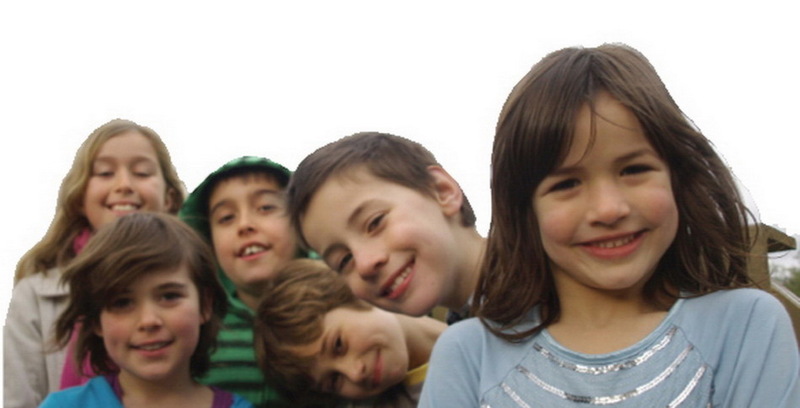 On 19 October 2011, HSC held our Walk to No School Day. 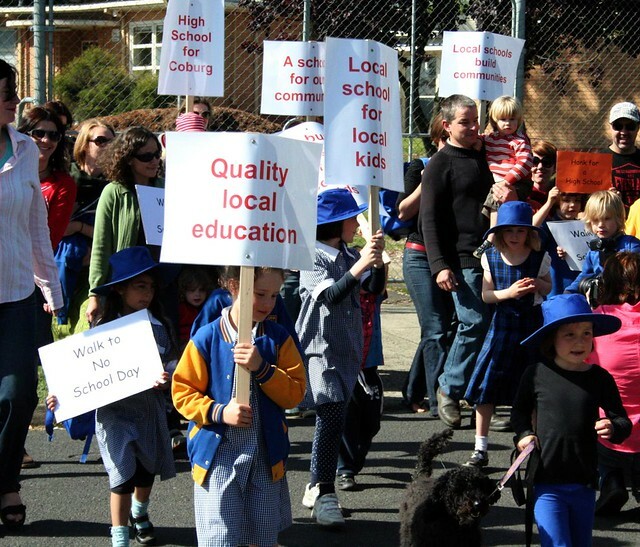 Victoria Walks to School Day also happened to be exactly one year since the DEECD’s Spatial Vision Report showing the need for further provision for Coburg and surrounds – a year of no action. Before Walk to No School Day we had coverage in the Moreland Leader and the Herald Sun -you can read and leave comments at both articles. We were very amused by Ivor from Coburg’s comment under the Herald Sun article – “The DEECD should be renamed the Department of Reviews of the Bleeding Obvious”! 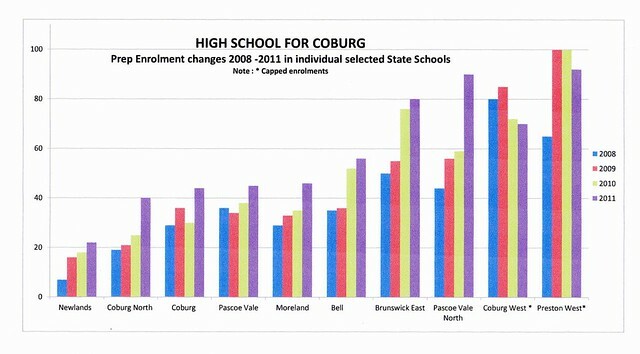 As HSC have said before, the need for secondary education provision has been clearly established by the department’s own demographic study.The Minister for Education, Martin Dixon has acknowledged that need in parliament and the community have very clearly shown their support for HSC’s preferred provision option – the under utilized Coburg Senior High site. There is no need for any more numbers reviews – what must happen now is a good look at the preferred provision option, a timely decision and then commencement of provision planning. The Walk to No School Day was great fun – watermelon, lots of families, balloons, colourful banners and enthusiastic Bell Street drivers cheering us on and Honking for a High School! 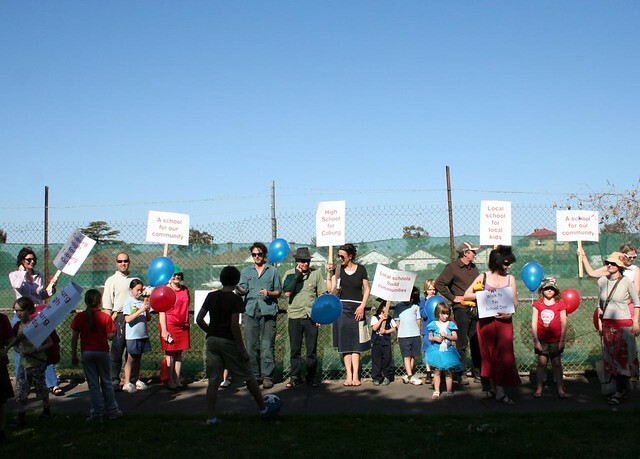 HSC have organised a short walk starting at the old Coburg High site to highlight the lack of a local state secondary school option for children leaving our local primary schools. Meet at Bridges Reserve near the Coburg Leisure Centre at 4.15 pm on 19 October 2011. There will be helium balloons children and young at heart! See Facebook event page. Please feel free to download and distribute the above poster. Scribd will ask you to sign in but you can also save and download by right clicking. Come along and share your thoughts, concerns and ideas regarding the lack of a local secondary school option for our children. HSC will provide updates recent developments including our recent report - "More Primary School Children -Fewer Secondary Options." HSC extend our thanks Coburg Primary School for hosting this community event.